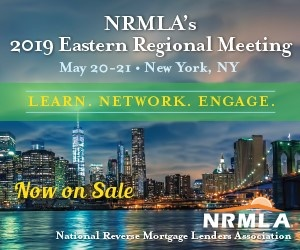 The Federal Housing Administration has been exploring potential options to stem the reverse mortgage program’s negative impact on the Mutual Mortgage Insurance Fund, and its leader on Monday positioned the government’s new appraisal requirements as the best of multiple difficult choices. The FHA on Friday announced new rules regarding Home Equity Conversion Mortgage appraisals, under which borrowers with appraisals deemed to be potentially inflated will be required to receive a second opinion from an unrelated firm. In announcing that change, the FHA cited concerns over the HECM portfolio’s economic impact on the overall MMIF, which was pegged at negative $14.5 billion in the administration’s most recent report to Congress last November. That figure also played a major role in the FHA and Department of Housing and Urban Development’s decision to lower principal limit factors and update the insurance premium structure last fall. Montgomery on Monday said that while he couldn’t speak to specifics about the FHA’s upcoming report to Congress, due out next month, the PLF reductions were only one tool in the administration’s arsenal for shoring up the HECM program’s finances. “I can tell you that the changes FHA made to the principal limit factors and the adjustments to the HECM insurance premium we instated in 2017 were designed to help, but did not, and were not intended to, and will not fully solve the financial volatility of the program,” Montgomery said. But he also offered his full support for the HECM program going forward. In its mortgagee letter announcing the appraisal requirements, the FHA didn’t elaborate on the exact overvaluation threshold that will trigger a review — and officials won’t be disclosing that information going forward. But Montgomery did offer some clues. In a retroactive review of around 134,000 HECM appraisals against data from an automated valuation model (AVM) program, the FHA determined that about 37% were at least 3% too high. During the peak era of inflated HECM appraisals — a period that spanned from 2008 to 2010 — some properties were over-appraised by upwards of 30%, Montgomery said. And while those figures have since come down significantly, the presence of any appraisal bias was enough to prompt the change. Montgomery also acknowledged the accelerated timeline associated with this most recent set of HECM program changes, saying the FHA condensed what would normally have been a yearlong rulemaking process into about three months. An automated system for submitting appraisals for review won’t be on line until a target date of December 1; in the meantime, reverse mortgage lenders and originators will need to submit the first appraisal through the FHA’s Electronic Appraisal Delivery (EAD) portal. Should FHA determine that a second appraisal is necessary, the lender and borrower should be informed within three days.